Indigo-Clean, a continuous disinfection technology, is patented and proven to kill harmful bacteria linked to hospital acquired infections (HAIs). Using a combination of 405nm Indigo and White LEDs, Indigo-Clean emits narrow spectrum light that kills bacteria while providing ambient illumination for the space. Indigo-Clean is a Continuous Environmental Disinfection system using dual mode, white light and 405nm visible wavelength, in conjunction with a lighting control system. 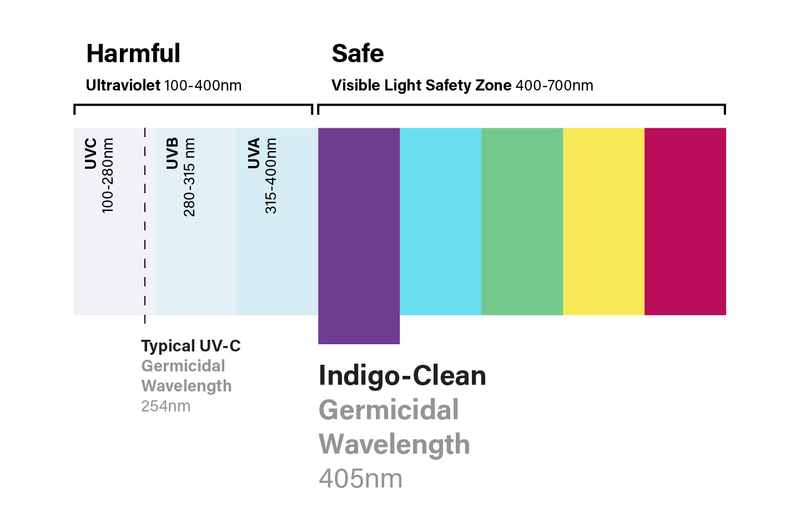 Kenall Luminaires Using Indigo-Clean Technology provide On-Demand Environmental Disinfection via a single mode, white light using 405nm visible wavelength that disinfects while the light is on.